You dont have to be a believer in climate change to be willing to profit from it, Barry Ritholtz says. 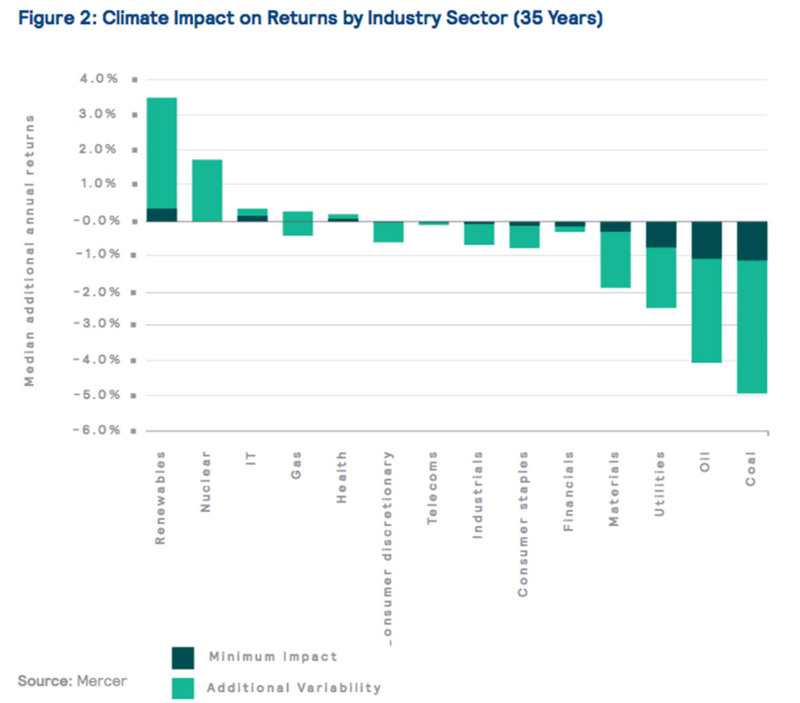 A new Mercer research report, “Investing in a Time of Climate Change,” is fascinating for what it is (and isn’t): a pure investment thesis, not a screed on science or politics. The report is especially timely, given a new National Oceanic and Atmospheric Administration report showing the so-called global-warming hiatus was the result of an error in measuring ocean temperatures. There has been no slowdown in warming, according to the latest data. I don’t want to debate the science, but rather to focus on the investment risks the report discusses. As we have noted before, this is a question of industry market share, corporate profits and investment performance – not science. In the real world, climate-change deniers are and will be giant money losers. I expect those who suffer from cognitive dissonance over whether global warming is real will soon be greeted by a brutal Darwinian result in the markets. I don’t make many forecasts but here is one: It is only a matter of time before the deniers exist only in think tanks funded by the fossil energy industry and oddball conspiracy groups. • Climate change will give rise to investment winners and losers. • The biggest risks are at the industry level. 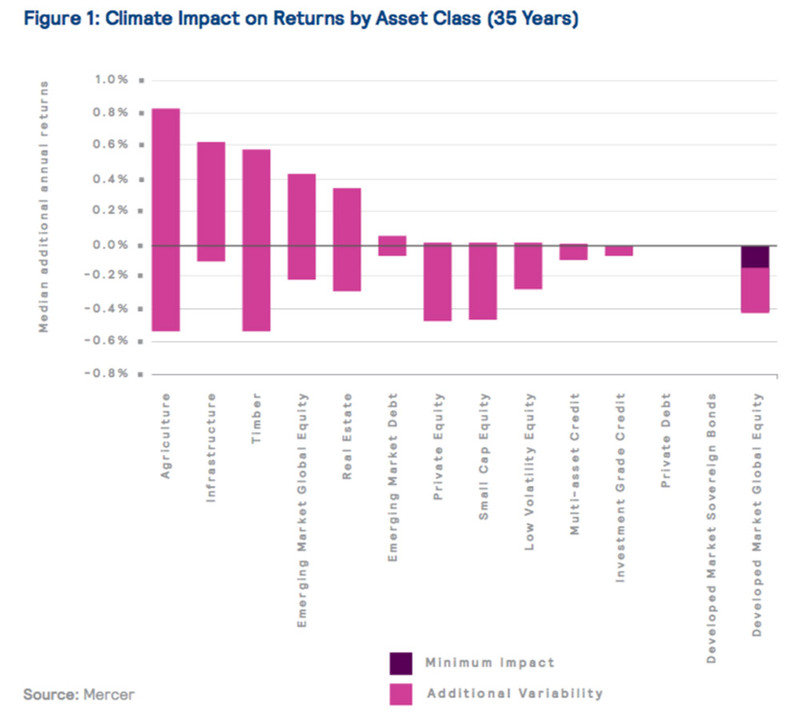 • Impacts on asset-class returns will be material, but vary widely by climate-change scenario. Putting ideas of climate change into an investment framework produces surprising results. For example, consider emerging markets. A temperature increase of 2 degrees Celsius (3.6 degrees Fahrenheit) would theoretically return benefits for emerging market equities, infrastructure, real estate, timber and agriculture. It could result in such changes as longer growing seasons and better access to remote mineral-rich northern regions. However, an increase of 4 degrees would harm emerging market equities, real estate, timber and agriculture. Other winners: Real estate, especially in areas with access to plentiful clean water. Coastal regions are potentially problematic. Renewables also have potential for additional returns: The technology sector — whether it is alternative-energy companies or the new tech designed to reverse the impact of climate change — are also expected to gain from changes. In general, growth assets are likely to be more sensitive to climate risks than more defensive assets. An intriguing collection of backers gives the 108-page report credibility. They include “16 investment partners, collectively responsible for more than US $1.5 trillion.” Government agencies that participated include the International Finance Corp., the private-sector arm of the World Bank Group; Germany’s Federal Ministry for Economic Cooperation and Development; and the U.K.’s Department for International Development. The report is broad, deep and credible. You don’t have to be a believer in climate change to be willing to profit from it.